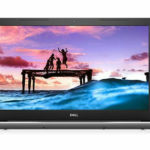 Dell Inspiron 3781 Laptop Windows 10 Drivers – If there is something wrong with your Dell Inspiron 3781 drivers which could result in no sound, no Wi-Fi available, blue screen, reboot loop, screen flickering, etc. To avoid the aforementioned computer issues, you’d better regularly download and update Dell Inspiron 3781 drivers for Windows 10. Dell Inspiron 3781 powered by the 8th generation of Intel’s Core processors (i5 or i7) and comes with either 4 or 8GB of RAM. You can get it with as much as 256GB of SSD storage and a 42Whr battery. Speaking of the display, it measures 17.3 inches, has HD+ resolution.